The 7 Foot tree is available in 2 styles. main branches. The Elaborate version has 156 side limbs. The limbs are welded onto the main branches and therefore permanent. diameter of 30" and the elaborate tree has a 45"
diameter. The trees are in two pieces that fit together. 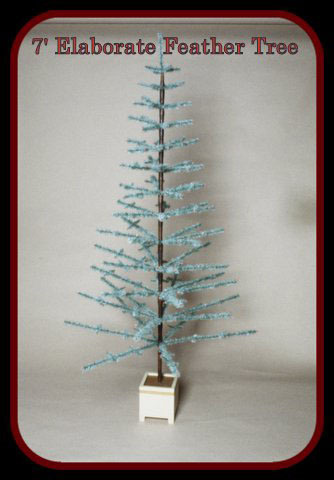 The 7' tree can be set on the floor or elevated on a small table.